Deciding to donate small appliances to our Atlanta, Georgia, charity could allow you to help kidney disease patients pay for essentials. 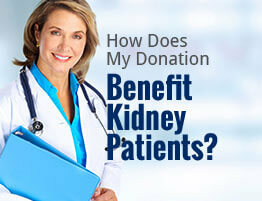 That’s because when you donate to American Kidney Services, all net proceeds go toward the American Kidney Fund. In turn, the American Kidney Fund help patients with renal disease pay for necessities like prescription medication and health insurance premiums. Regardless of which items you’re able to donate to American Kidney Services, we strive to make the process of donating as convenient as possible. One way to donate is by having one of our collection vehicles stop by your home and pick up donations right from your curb or driveway. To take advantage of this service, we simply ask that you fill out our online form and place your items in a bag or box labeled “AKS” on your designated pickup day. You also have the option of leaving your donations in one of our drop boxes around town or at a local Value Village location. If you have any questions about how to donate small appliances and other items to American Kidney Services in Atlanta, GA, contact us today. We’ll happily answer any of your questions and can even help you learn more about the American Kidney Fund and its efforts to help patients with renal disease.